Portland brewery and pub openings have become so commonplace that they're hardly worth reporting. These things tend to run together after a while. But all brewery openings aren't created equal. Now and then, a new one stands out. 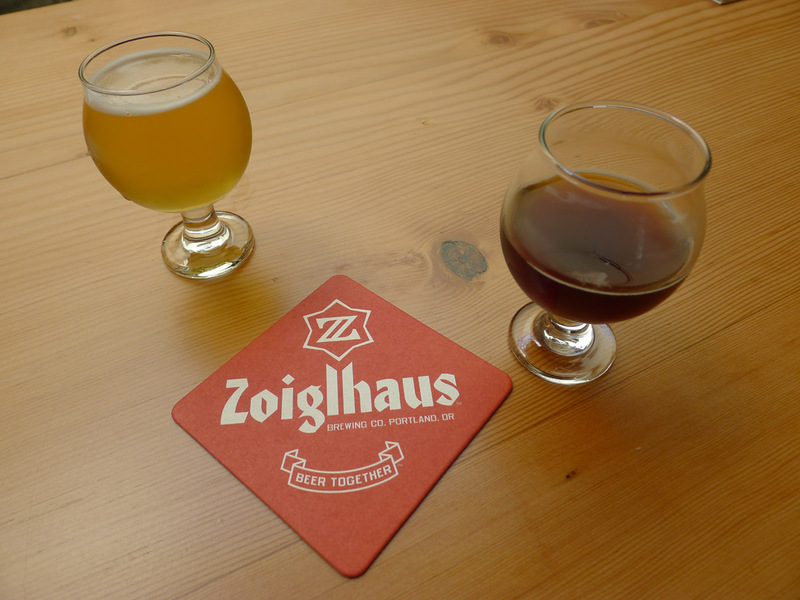 Zoiglhaus Brewing, which opened this week in the Lents neighborhood, is an interesting case. The folks who run Pints Brewing in Old Town put this place together. In actual fact, the brewery isn't even installed yet. It'll be along in a month or so and in-house beers are likely two months away. At least. Everything Zoiglhaus has on tap will be brewed at Pints until the brewery is ready. That's not such a bad thing. Brewer Alan Taylor has classic European training and his beers are solid. It's worth wondering how they were able to brew enough beer on the small Pints system to supply the beers for both joints. Taylor told me they brewed around the clock for weeks. The pub itself is spacious, with abundant seating, a kids play area and some comfy sofas away from the buzz. 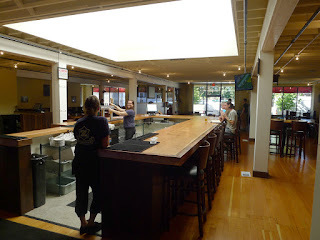 The bar lives beneath a large skylight that bathes the area in light during daylight hours, giving the place a roomy feel you won't find in many brewpubs. There are several TVs hanging out, but this isn't a sports bar by any means. The beers are Pints beers renamed for the Lents neighborhood. They could have possibly had some fun with those names, given the connection to the Felony Flats crime motif. Probably just as well they kept it subtle. Oh, the menu is a mix of traditional pub fare and authentic German cuisine. You won't confuse Zoiglhaus with Stammtisch, but it's a decent effort. What this place is in terms of beer, food and ambiance isn't the most interesting thing about it. Nope. What's particularly interesting is where it is and why. This isn't exactly a posh area. The New Copper Penny and a number of other dives dot the landscape. It's a downtrodden land of shootings, stabbings and related crime. Maybe not the best place to open a new business. In fact, the bombed out nature of the neighborhood is precisely why Zoiglhaus is here. The project, on the drawing board for several years now, is a partnership between the Portland Development Commission, Taylor and real estate developer Chad Rennaker. 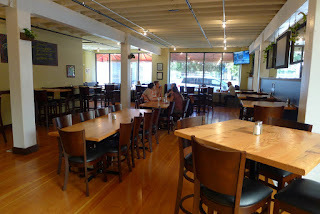 Taylor and Rennaker operate Pints and a brewpub in Albuquerque, New Mexico. There's more on that here. The PDC believes a brewpub will help lift the fortunes of the Lents area. They're betting a pile of money on the project. Yep. 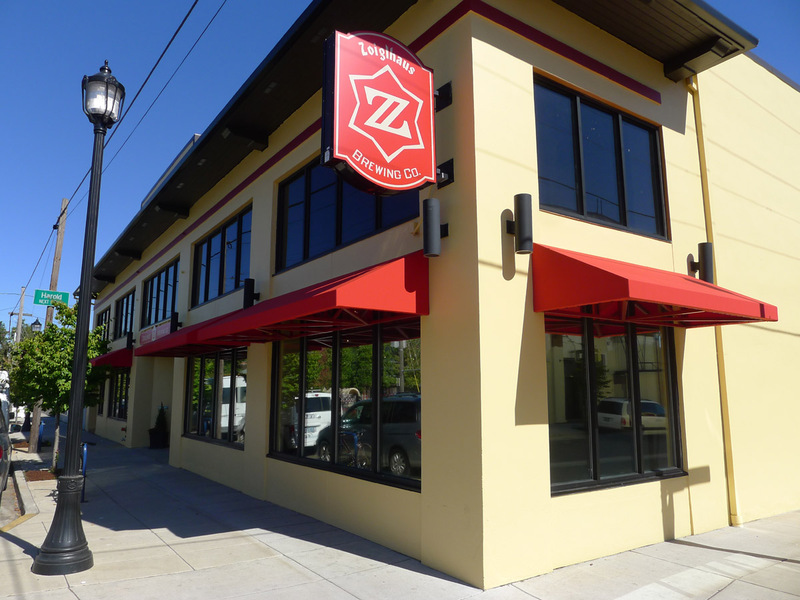 The PDC invested more than half a million bucks to renovate the building and prepare the space for Zoiglhaus. Zoiglhaus partners have made a large investment, as well. Rennaker will reportedly invest in affordable housing nearby. If things go as planned, the brewpub will help attract additional investment to the area. Why would the partners think that? Well, it's happened before. 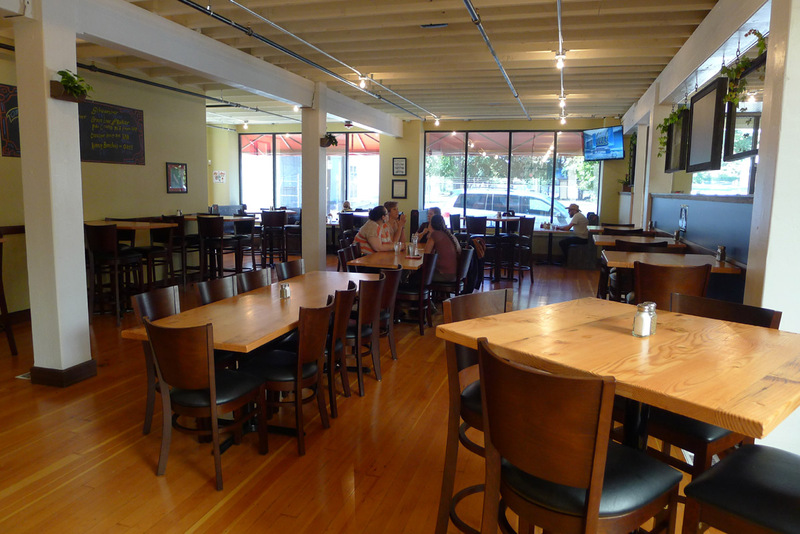 Brewpubs often act as community hubs that make areas or neighborhoods more attractive to businesses and families. In the end, that's what they've hoping for with Zoiglhaus. 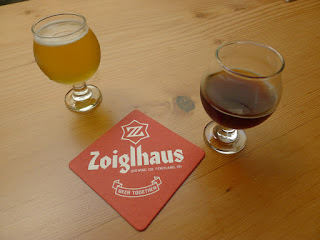 So beyond the beer and the food and the ambiance, it will interesting to see what happens with Zoiglhaus. Will it help Lents climb out of the abyss? We can only hope.